This is quite possibly one of the most important lists that you could memorize when it comes to eliminating harmful toxins from your diet. 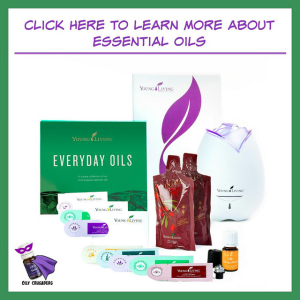 An amazing organization called the Environmental Working Group (which is an “organization of scientists, researchers and policymakers”), developed a list of which common produce items have the highest amounts of pesticides and other harmful chemicals. 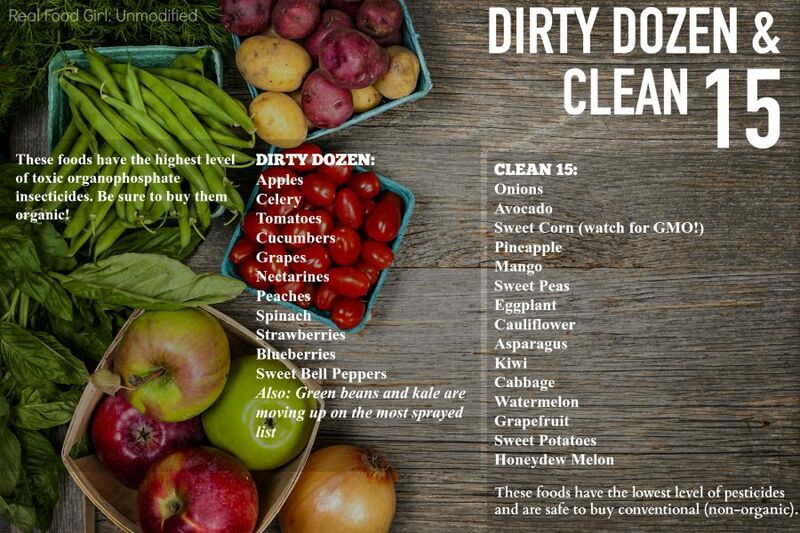 They discovered that by switching to organic produce for the foods listed on “The Dirty Dozen“ list can “reduce the amount of toxins you consume on a daily basis by as much as 80 percent.” I’m not sure about you, but I’m all for not being a walking chemical factory. Americans already consume 6-9 pounds per year (YIKES!) of chemicals. That’s not including what we absorb through our skin. That’s kind of sobering to think about, isn’t it? 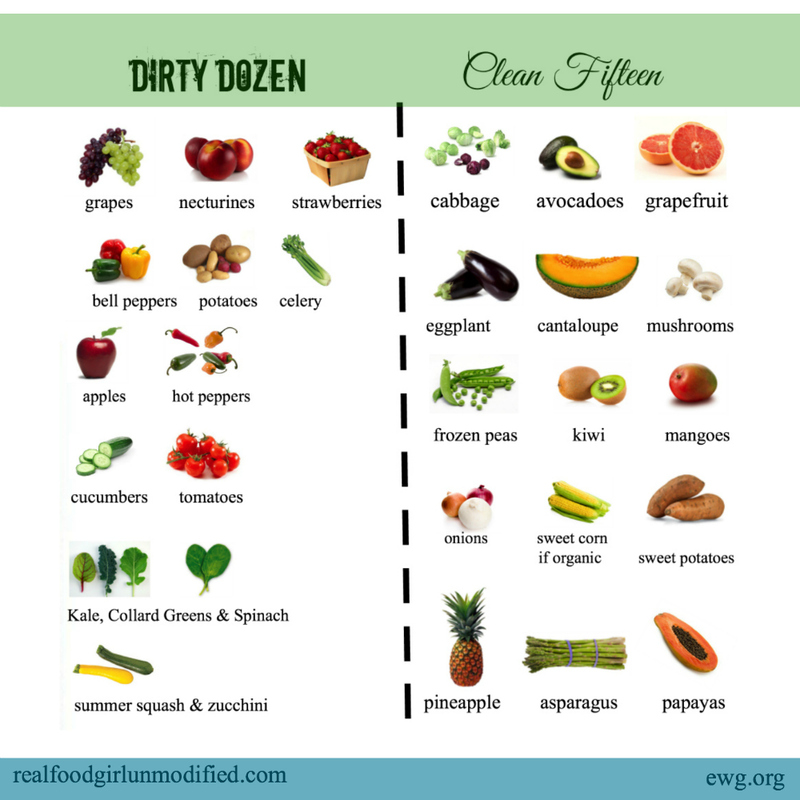 Here is a link to the 2016 updated Dirty Dozen & Clean 15 Guide over on the EWG website. This list isn’t about GMOs. It’s about the Pesticide Load of these produce items. If you’ve read my GMO for Newbies post you’ll notice that Hawaiian Papayas are listed as a Genetically Engineered crop–about 50% of all Hawaiian Papayas are GMO. I realize that The EWG put both Sweet Corn (which a GMO version is slowly starting to enter our food supply) and Papayas on their CLEAN 15 list. It is important to keep in mind that the EWG made this list to show the most pesticide-contaminated produce. The foods with the highest amounts of pesticides are obviously best to purchase organic as they have different standards and products used for controlling pests that aren’t considered toxic or dangerous to the environment or humans/bees/pets. I like this list because I feel it is a fantastic place to start for people who are new to Real Food. It’s also a great place to start if you don’t have access to several organic grocery stores, but your local store does sell organic produce. In my opinion it is always best to purchase organic produce, or local produce from farmers that you know and trust. If you’re not able to, or you want to start small because this thing called Real Food overwhelms you, then start here. Start by eliminating as many toxic pesticides from your kitchen as possible. Our bodies don’t need them and if you can limit the amount you are consuming it is a step in the right direction. This list is NOT a list of GMOs vs. Non-GMO. It’s all about the pesticides. To find out more about this list, how each produce item is chosen and more about the EWG (Environmental Working Group) check out their Website. Thanks for this! One thing that they did not consider is that systemic pesticides do not “wash off”. They are taken up into the plant and expressed through every part (pollen, nectar, guttation water, etc.). This means you consume them too when you eat! do you know of any lists which provide info on the rest of the many fruits and vegetables perhaps listed in order of least to most pesticides? Offhand, no. I do not. I’m sorry. If it helps, the Dirty Dozen are the ones with the most pesticides, and the Clean 15 are the ones with the least pesticides. That in and of itself is a list, similar to what you’ve requested. You can research more by visiting the EWG online. (Environmental Working Group) I also believe there are smartphone apps available to help with choosing safe(r) produce. Best of luck. Yes, EWG’s website gives the full (long) list of how all fruits and vegetables stack up.